Chews are cylindrical, approximately 12mm long and 10mm diameter. Feed either whole before or after a meal, or crumbled into food. Fresh drinking water should always be available. Starch, Sucrose, Sorbitol powder, Glycerine, Rice Bran, Hickory Flavour, Caramel, Sodium Ascorbate, Pork Liver powder, Potassium Sorbate, Calcium Carbonate Precipitated, Deionised Water, Rapeseed oil. Consult your vet before feeding to a pregnant or lactating queen. 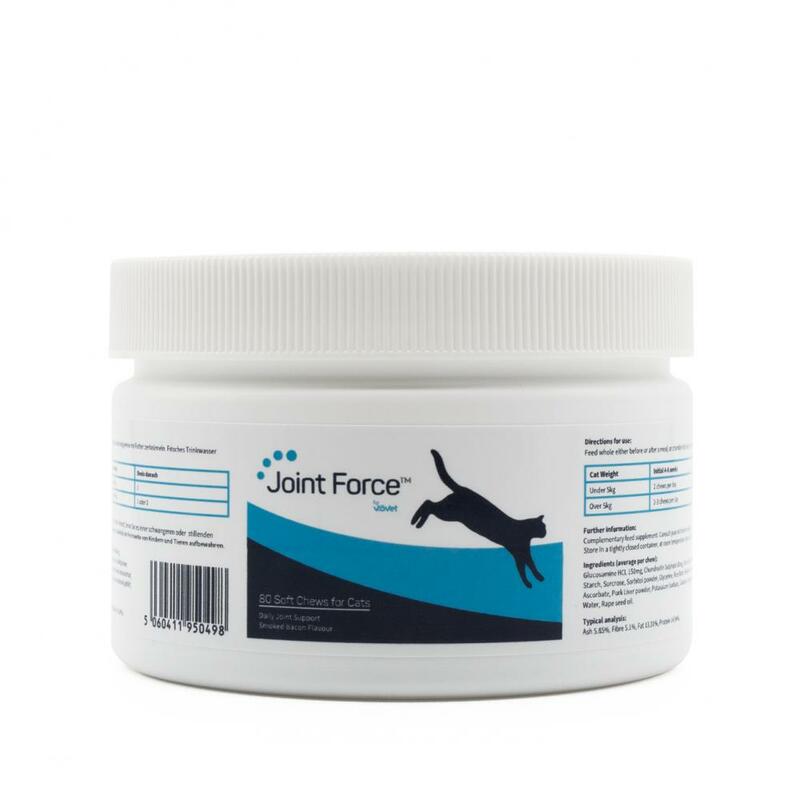 Below are some recent questions we've received regarding Joint Force® Soft Chews for Cats, including answers from our team. How long before a benefit is noticed? Hi there, I have a cat who has an arthritic shoulder. I want to protect his joints from any further damage. How long would he have to be taking them before I would notice a marked improvement? The reason I ask is because I wonder if I should try the small pack first, before buying the big one? It could take up to a month before you see a marked improvement. However some of the benefits are preventative so even if you don't see a significant improvement straight away they should help limit further damage. It may still be a good idea to order the small pack first though to see if your cat will eat the chews. It would be perfectly acceptable to give Joint Force to all 3 cats. 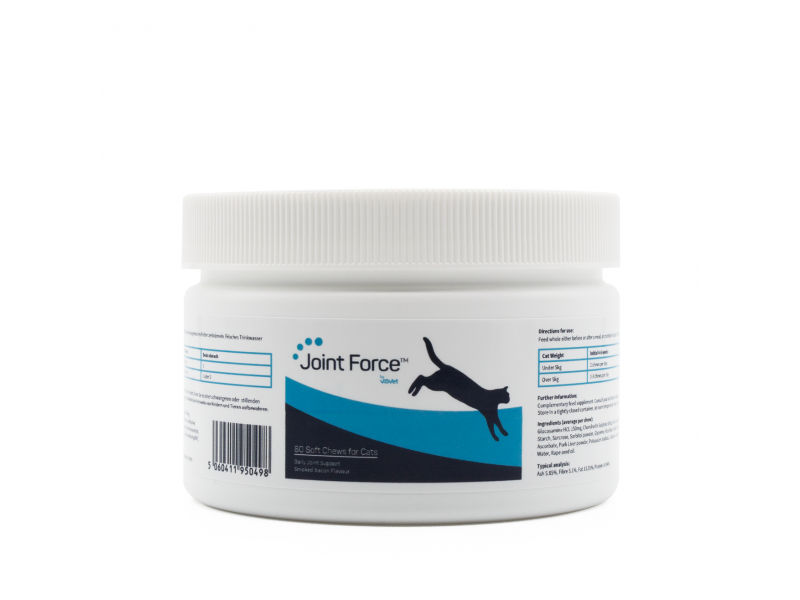 The older two should particularly benefit but many people now give joint supplements to younger cats too in order to slow down or prevent degeneration of the joints in the future.